The Dutch technology company sees many solvable patient care issues in urgent need of attention. 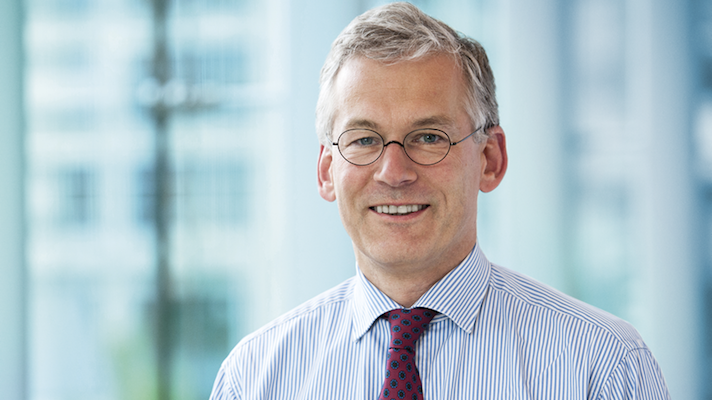 Always keeping the focus on the patient is both Royal Philips’ business and ethical philosophy, Philips CEO Frans van Houten told Healthcare IT News. It’s just the right thing to do. He recognizes that most of the care is done in silos. Even though everyone is trying very hard, there remain hand-over issues and miscommunications. Phillips’ approach, he said, is to support integration along the care pathway. The Dutch technology company is active in diagnosis, treatment and home care. Philips, he said, brings integration, data analytics and artificial intelligence to bear on patient safety, to even be able to anticipate adverse events – cardiovascular events, for example, or infections. These applicable technologies today can help overcome some issues of the past, such as alarm fatigue, for instance. “By integrating our resources, we can make it much simpler,” he said. Caregivers need help solving some of the biggest challenges in healthcare today, van Houten said, and at HIMSS17 the company is highlighting many new products aimed at doing just that. The latest release of the IntelliVue Guardian Solution, which is designed to help clinicians in the early detection of subtle signs of patient deterioration in the general care ward. The technology has received clearance from the Food and Drug Administration. It includes connectivity with the Philips Wearable Biosensor, a medical-grade, self-adhesive, single-patient-use wireless device worn discreetly on the chest that automatically and continuously measures key vital signs, including respiratory rate. A change in respiratory rate is one of the important predictors of patient deterioration, van Houten noted. Another featured Philips technology is Connect-to-Healthy, a personal health record application that makes it possible for consumers to collect and manage their health information and medical records in a single view. The application also connects consumers, health professionals, researchers and insurers to securely exchange health data, and thereby empower patients to take greater control over their data, van Houten added.